Indian students- particularly from the fields of engineering and managementwant to further their career prospects and improve their resume by doing foreign internships. But many of these internships are out of their reach because of the exorbitant cost and their unawareness about the right places to apply. Interns usually don’t know that there are companies that offer paid internships to Indian students, in addition to the perks of international exposure and travel to exotic locations. To guide such students, the author Aniket Singh, himself an alumnus of IIT Madras and presently working for Apple in Cupertino, California comes with the book “Intern abroad this summer”. In the book, he shares his foreign internship experiences, the lessons that he learnt during these stints and helpful career advice with aspiring engineers and management students. The book is subtitled “Intern abroad, Expand possibilities” which is apt for it expands the outlook of the students by its valuable tidbits and easily executable tips and to-do steps. 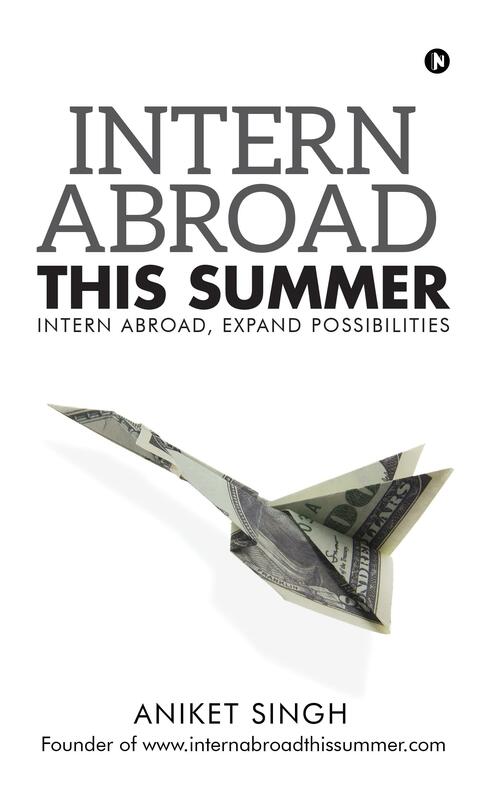 The front cover shows a dollar folded in the shape of an aeroplane, denoting foreign travel by way of internships that are paid too, which connotes the essence of the book precisely but the book cover is somewhat plain and could’ve been made more appealing. The blurb tells about the book in a crisp manner and there is genuine praise for the book at the back cover and in the introduction, which give it an aura of authenticity and expert validation. The book has been divided into seven chapters with maverick titles, which makes it very reader-friendly and exceptionally interesting. Also, at the end of each chapter, the author has shared some funny and fascinating anecdotes in the section “Story time” which lightens the serious disposition of the book by delving into amusing yet important information and concurrently painting a realistic sketch of internships at different places. The first chapter titled “The road less travelled” details some of the life changing experiences of the author and people’s reaction to his foreign internship. The second and third chapter discusses about the advantages of foreign internships and how one should “Stand out from the herd” and “Blaze your own trail”. The fourth chapter “Application Process” takes one through the details of applying for foreign internships in universities as well as the corporate sector and how networking through LinkedIn can help. The fifth, sixth and seventh chapter detail about building a perfect resume, finding funding for internships, getting one’s logistics sorted and acing the internship. Each chapter has some takeaways, and the book also enlists other opportunities if one doesn’t land a foreign internship. In this book, the author flags some action points that would enable the go-getters intending to travel the world in their student days to steer their lives and careers in the right direction. It is an essential read for students who want to make some innovative as well as time-tested strategies for a successful career path by means offoreign paid internships and also for those who want to broaden their horizons through international travel. It is a book that must adorn the library bookshelves of management and engineering colleges and must also be included in their curriculum.